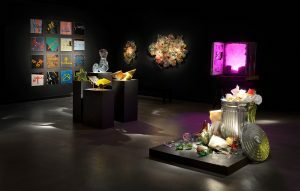 One of the most common questions people ask after making a purchase from one of our glass sculpture sales is, “What’s the best way to display this piece at home?” While the answer generally varies from work to work, there are certain do’s and don’ts when it comes to staging, lighting, and showing off glass artwork in your home. Here are a few general tips you can keep in mind to give your new glass artwork the showcase it deserves. 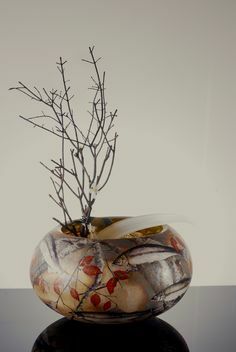 Of course, one of the distinguishing features of contemporary glass art is its translucent nature. 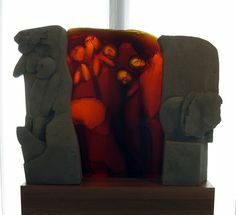 For that reason, glass sculptures and even functional glass art look best when light is allowed to shine through them. Avoid sticking them in tight, dark corners, and instead, feature them against white or light-colored walls for a more dramatic effect. 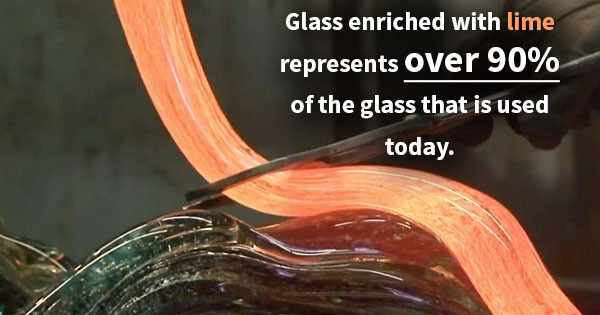 Another important factor to bear in mind is the physical weight of the glass itself. 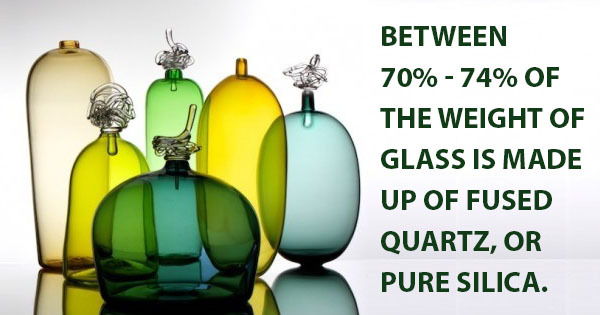 Between 70% to 74% of the weight of glass is made up of fused quartz, or pure silica, which can easily weigh hundreds of pounds for a larger piece. Of course, glass is also highly fragile, so if you are mounting or hanging pieces, it would be a wise investment to have a professional install the proper holds. Unlike flat paintings, glass sculptures take up physical space in a room that often becomes an extension of the piece itself. When choosing where to set your piece, bear in mind the way that shadows might enhance (or block) the elements of the room. Again, natural light from big, open window spaces is often your ally in glorifying your art and personal space alike. Sometimes, homeowners and art collectors will walk into a glass sculpture sale looking for a particular piece that will liven up a room. Other times, the glass itself seems to choose you, and you have to build a room around it. 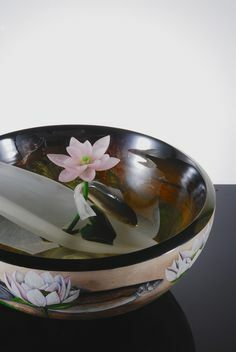 In order to get the most satisfaction and beauty out of your artwork, remember to keep in mind the unique properties of glass that make it so different from any other kind of contemporary art. A well-displayed piece can offer a lifetime of aesthetic rewards for you and all who enter your home. Mark Peiser has been pushing the envelope of the contemporary glass art world for nearly 50 years. 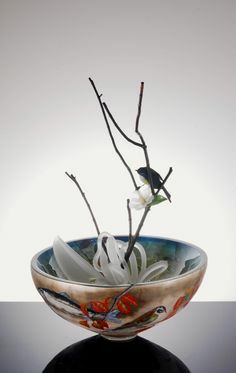 He first became involved with the Studio Glass Movement in 1967, and ever since he has tirelessly explored the limits of form and function within this unique medium. Mark Peiser’s Paperweight Vases series spans from 1975 to 1981, during which time he took the concept of functional glass art to new heights with highly intricate details embedded within translucent glass vases. The Innerspace period from 1983 to 1994 saw him focusing on more geometric designs with cast molded glass to reflect the vastness of human existence on Earth. And since 1994, he has turned inward again with his Forms of Consciousness glass sculpture series as well as many Cold Stream Cast Vessels that seem to defy the laws of physics with their thin, colorful shapes. Like 90% of glass used today, Mark Peiser uses glass enriched with lime to create beautiful artworks that are as durable as they are creative. Born in Chicago, IL, in 1938, Peiser earned his Bachelor of Science at the Illinois Institute of Technology. He also attended the Penland School of Crafts in Penland, NC, where he continues to live, teach, and create in his glass studios. Peiser is a founder and Honorary Lifetime Member of the Glass Art Society. 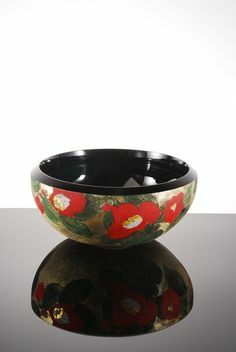 His works are on display in galleries and museums throughout the world, including the Corning Museum of Glass, the Smithsonian Institute National Museum of American History, the Tokyo Museum of Modern Art, and the Galerie Internationale du Verre.